Oliver's new get-up looks a bit more elaborate than his old suit. The leather ensemble plays a bit more like armor, especially around the shoulders, and he's going without sleeves, which is a contrast to the long-sleeves his old suit had. 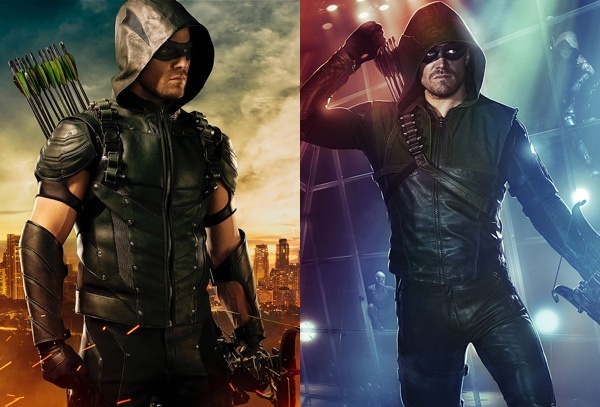 For reference, here's a side-by-side of his new suit next to the one he wore before the Arrow retired. The new suit was designed by Maya Mani, who also did the suits for Aresnal, Black Canary, Speedy and Ray Palmer's A.T.O.M.. For those who watched the third season of Arrow, the fact that Oliver needed a new suit shouldn’t come as a huge surprise, as he abandoned his identity as the Arrow when he took up with Ra’s Al Ghul. After slaying Ra’s, Oliver decided to retire and drive off into the sunset with Felicity. It’s doubtful that any of us expected Oliver to retire forever, so it’s not all that surprising that he’s getting a new suit. But it’s exciting to see his new look, if only to remind us that Arrow will be back on the air in a matter of months, and Oliver will be suited up once again. Getting to see how he goes from wherever he and Felicity are to Starling and his new suit should be very interesting. As mentioned, Arrow's new suit was revealed first to those who attended Warner Bros. Television Presents A Night of DC Entertainment, a three-hour special Comic-Con event in Hall H.
Arrow is set to premiere Season 4 on Wednesday, October 7 at 8:00 p.m. on The CW. 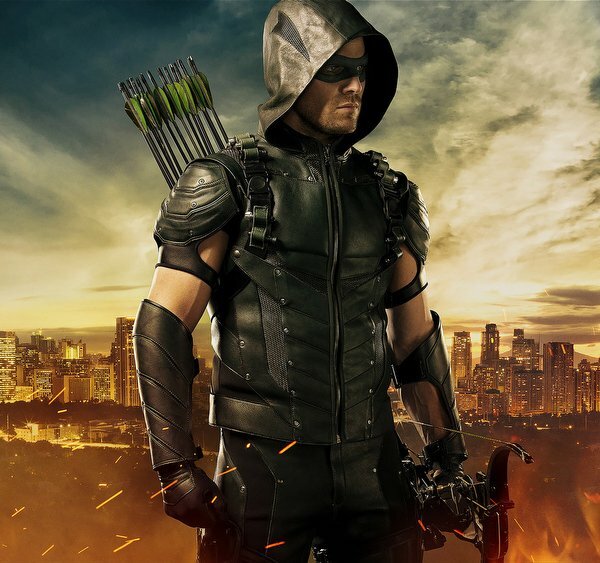 Returning cast-members include Stephen Amell, Katie Cassidy, David Ramsey, Willa Holland, Emily Bett Rickards, with John Barrowman and Paul Blackthorne. Neal McDonough is also set to be featured in Season 4.